Forged in the fire of the Invasion, a group of post-human teens join together to wage a different war for their future…no matter the odds! Enjoy the TNTeen girls “on the beach” pin-ups and the ID cards of the main characters…including Morpho the war-dog! Read it by page or by panel by clicking one of them and swipe left and right. The initial menu is always at your disposal through vertical swipe. See u all in New Atlantis! 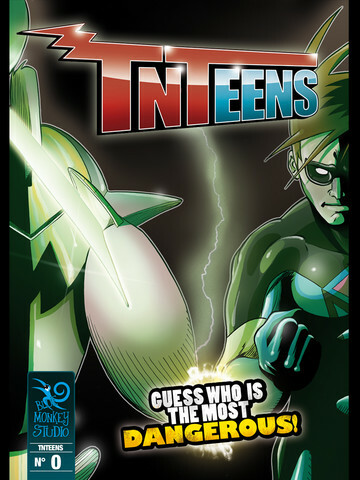 TNTeens Rebellion is an update version of the old TNTeens #0 by Blue Monkey Studio. There are also some new things, like he pinups and the id cards of the characters.